Top debt free companies in India in 2018 & are they still good for investing? 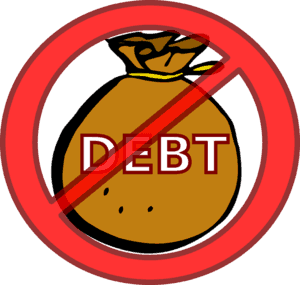 A debt free company is a company which has zero debt on its balance sheet. Though leverage gives a company necessary capital to plan and execute its growth, having zero debt on its balance sheet is sign of strong financials. A zero debt company, has more control on its finances as they don’t have an outside loan to service. Thus, they are fast in execution and more self reliant about decision making. Please note: Just because a company is debt free, doesn’t make it invest worthy on its own. You need to analyse it’s financial health, economic conditions & market growth possibility before investing into a zero debt company. Debt free company: Good investment? Should I avoid companies with debt? Is a debt free company a good investment? What you need to look for when you are evaluating a company for long term investing is it’s profitability and growth factors too. Zero debt on balance sheet shows that company is free from financial liabilities, which in most cases means higher profit as compared to any company which has to service its loans. Due to inflation and interest rates in India, servicing loans from financial point of view can be a costly affair. Whereas a debt free company is totally free from any such expense or financial planning for spending on interests. But, the other factor which is growth factor is something that needs to be analysed. Sometimes, in their jest to stay debt free, a company can let go of investing in the future capacity and expansion. This can lead to missing out on growth of the company. In such scenario, the company is good but from investment perspective you don’t have a good option here. Hence, you need to look into the company from both these perspectives. One factor you can look to check the growth factor is increase in ‘Total Income’ of the company over time. Should I avoid the companies with debt on their books? No, you should not. There are many situations when it is not easy for a company to expand without debt. Though this article is about zero debt companies, it is still important to know about something called debt to equity ratio. Debt to equity ratio is ratio between the total debt and total amount contributed by shareholders (equity). In case of a zero debt company, this number is zero. Hence, any number closer to zero also indicate a strong self reliant financial balance sheet. What is expected return from investment of the debt money? What is the cost of debt vs expected return? Economic conditions which can effect the numbers above. How a company has used the leverage of debt as well as internal cash flows helps to decide about the quality of management and thus fundamentals of the company. Such company is ‘financially independent’ from interest rate fluctuations. Execution level of such company if faster as compared to other companies who have to keep up with regulatory restrictions of debtors. Any company which has increased net income over the time and still being debt free is ideal for long term investment as it shows strong fundamentals. Moreover in unicorn cases, the company is cash positive without any debt because they are leader in their field and are able to charge a consistent premium on their products. For example, Apple has a famous premium product and its sales are consistent (or growing) over last few years. To be conservative, below mentioned list are companies with large market cap. There are many more debt free companies in medium and small market cap too, which you can consider for investment purposes. Also read: Should you invest when market is at all time high? Are these companies good for investment at current prices? I will be posting my research about these companies individually, which you can use for investment decisions. Please subscribe to pop-up notification to receive update for the same or subscribe to newsletter here.